The international energy community is usually divided about conditions on the oil market. When prices increase, consuming nations complain and producers rejoice. When prices fall, those feelings of happiness – or discontent – are reversed. The cycle goes on and it is never clear what would satisfy both parties. Today, however, the international community seems united in one concern. Organizations representing consumers and producers are warning that an energy crisis is looming, because the current oil price environment does not sufficiently motivate investment. When the oil price collapsed by more than 50 percent between 2014 and 2016, investment – particularly in the upstream part of the business, focused on exploration and production – plunged as well. Many projects were canceled outright, while others were delayed indefinitely. 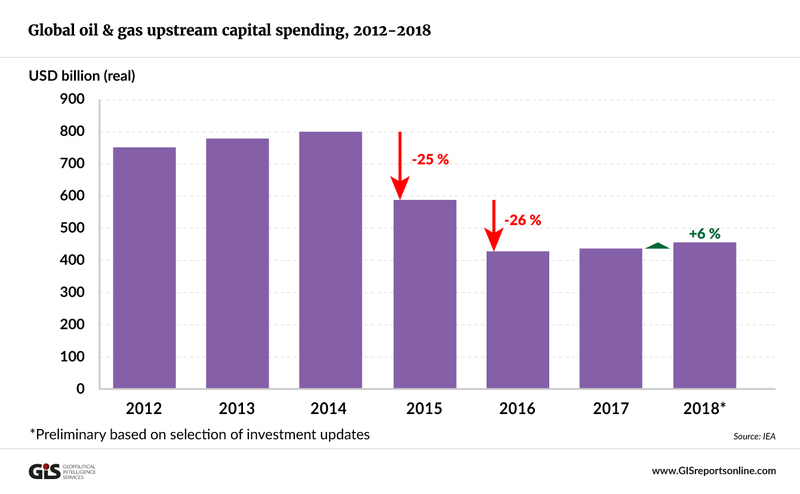 The U.S. Energy Information Administration (EIA) estimates that global capital expenditures in the oil and gas industry fell by 44 percent over this period, to $434 billion in nominal terms, though it is unclear how the agency came up with these numbers. However, it must be remembered that oil and gas investments are complex decisions shaped by many factors, some of which either reinforce or counterbalance each other. The oil price has a direct impact on investment, since it affects the expectations about future returns. But it is not the only factor that can encourage or discourage investment. Host government policy is another important driver which in turn affects the cost of doing business.